Used book store and book search service - find and buy used, out of print, rare, or antiquarian books. Old Maps. 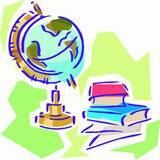 Description: Used book store and book search service - find and buy used, out of print, rare, or antiquarian books. Old Maps.